I would consider myself to be well-acquainted with shame. I am not quite sure why I seem to be so naturally shame-prone. But I am. I tend to blame it on some mild, sub-clinical social anxiety and some not-so-mild perfectionism. My shame manifests itself most during and/or after social interactions. After spending time with friends or acquaintances, I will often replay various conversations or interactions in my mind and think of something I said or didn’t say, or something that I did or didn’t do, and I feel shame. And it hurts. On occasion, I can feel my body attempt to physically shrink and hide. I notice that I subtly flinch in pain as I fear that I exposed my ignorance and incompetencies. At times when I am alone and recalling a social interaction, the muscles in my body may briefly stiffen, I might clench my teeth and grimace; I may even momentarily ball my fists and raise my arms in a defensive position. My body responds defensively in response to my feeling socially inept, flawed and exposed. Rationally, I know that such reactions are unreasonable, and in any other moment I am confident in my worthiness. I understand that my shame is a socially-constructed counterfeit. I also understand that I am actually pretty capable socially. Unfortunately, knowing something does not automatically translate into a change in feelings. Still, knowing what shame is and giving it a name certainly helps. At least that way I know not to believe the thoughts that try to convince me that my humanness and imperfections equate to inadequacy, incompetence or unloveableness. Because of my own experiences with guilt and shame, it has long been a topic that has interested me and that I have studied and pondered. Through my studies, both academic and spiritual, I have learned several lessons about shame’s origins, effects and antidotes. I have found ways that an understanding and application of the Atonement of Jesus Christ can help lead to healing from inappropriate shame. I have also found that understanding certain truths about guilt and shame, and about Christ, have enabled me to better discern between what is true and what is counterfeit. And I have found that being able to discern between guilt and shame is often a prerequisite to seeking the Atonement, which in turn helps me to heal from the effects of shame. My hope is that the blog posts that follow will invite a greater ability to discern between guilt and shame; that shame can be transformed into guilt; and that guilt will be a motivating force that will invite turning to Christ’s Atonement to find forgiveness, grace and healing. I am still working on my own journey of not allowing shame to limit my progression. I do believe that I am making wonderful progress in my healing. But, consistent with the nature of healing, it takes time. 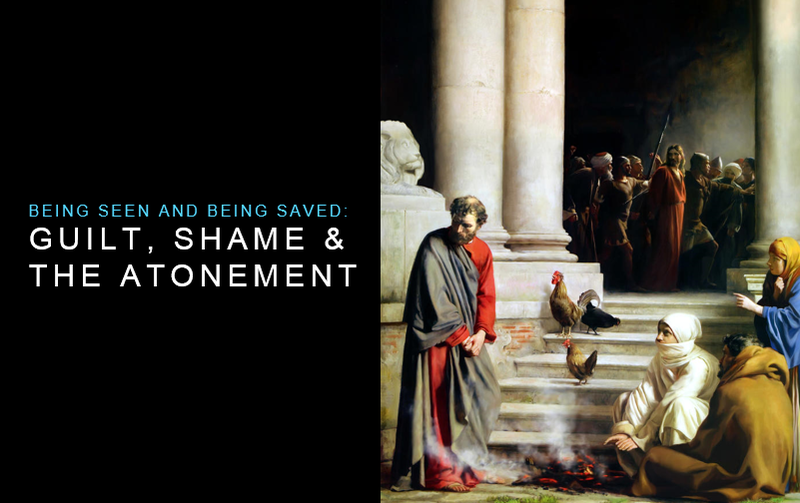 If you have insights or experiences related to shame, guilt or applying the Atonement that you feel will forward this discussion and be of value to me or others, I invite you to share in the comment section. I would love for us to learn and grow together.